For those who enjoy the comfort and elegance of leather, the Langham Dining Chair from Modloft offers a great choice in any contemporary dining room. This dining chair features a padded seat finished in caramel natural distressed leather that dazzles and will maintain its quality for years. It also boasts a fiberglass bucket seat construction and cathedral ebony wood-covered legs for exceptional support. Take another step toward revamping your dining room's d�cor with a dining chair that features modern curves and a mid-century flare with the Langham Dining Chair. Boasts a one-of-a-kind fiberglass bucket seat construction. Includes cathedral ebony wood-covered legs for exceptional support. 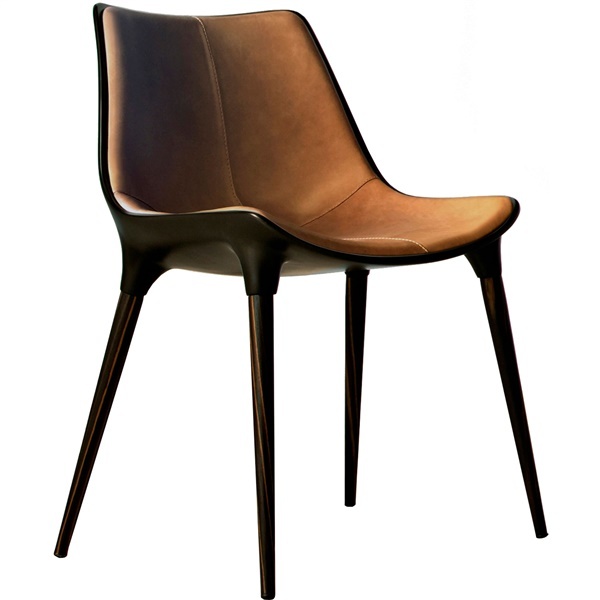 Features a padded seat finished in caramel natural distressed leather that dazzles. Chair case available in a stunning black matte lacquer finish. 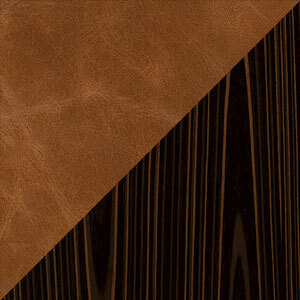 Your dimensions for the Langham Leather Dining chair show the height of the seat on the side, which is higher, of the chair. Please let me know the distance from the floor level to the middle of the seat (this is the actual sitting height). The actual sitting height for this chair is 17 inches.